8 hands-on, active programs for your active, inquisitive young mind! We at Mad Science of Greater Salt Lake do our very best to keep the after school programs we offer exciting! We Spark Imaginative Learning by rotating our programs each semester. That way your school won't see the same program for 3-4 years. So much different entertaining education that young scientists can keep on going with Mad Science! Click on the program name or the picture for further description. 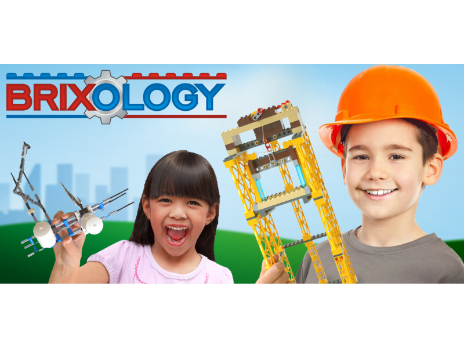 Brixology--Engineers make the world an AWESOME place! Building with LEGOS is fun, but engineering with them is soooo much better. Engineers design and test and then fix their design to make it better! Crazy Chemworks--Chemistry all the time in this 6 or 8 week program. Make fun slime (don't worry parents, it's clean-able), mix chemicals to see how they react, explore the chemicals that make things glow, and much more! Put on the Mad Science thinking cap and get experimenting! Dynamic Discoveries--Science makes the world work from the volcanic rocks of the world to the tiny little ants. A different science each week to mix it all up and keep you curious for more. In addition to Earthworks and Bugs, we get to the Science of Toys (who knew?!) and Movie Effects. So much educational fun. Fun-ology--Yes, we take fun very seriously! So, of course we'd have a program on the science of fun. So much is packed in this program, each week a different kind of science. Animals, robots, energy, chemistry...Whoa! Then a take home activity that has to do with what we had fun with...erm...learned that day. NASA:Academy of Future Space Explorers--Mad Science worked with NASA scientists to come up with this class.Build a model rocket, explore what it might be like on the International Space Station, help build a comet and much more. pHunky pHysics--Get down and wacky with physics--the forces that rule the world! Get intense with our Che-mystery class, fly high with Fantastic Fliers, unveil the Science of Magic and so much more. Science Mania--We are totally crazy about science and want you to be too! A different science each week as you explore with your senses, invent some great stuff, and even get to raise your hair with a Van de Graaf generator! 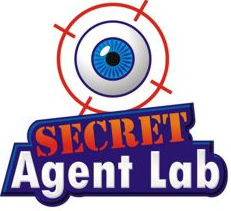 Secret Agent Lab--2 classes of undercover spy classes and 6 classes of detective work in the 8 week Secret Agent Lab class. Hands on exploration of how the police figure out "whodunit?" Follow the clues and find out some cool CSI stuff.